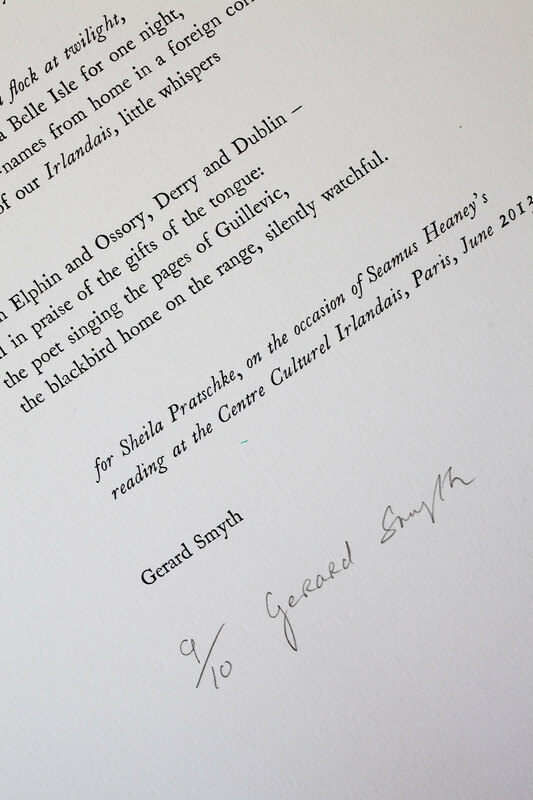 Printed for poet Gerry Smyth as a gift to his friend Sheila Pratschke 'on the occasion of Heaney's reading at the Centre Culturel Irlandais, Paris, 2013'. 18 pt Caslon type on 350 gsm acid free. 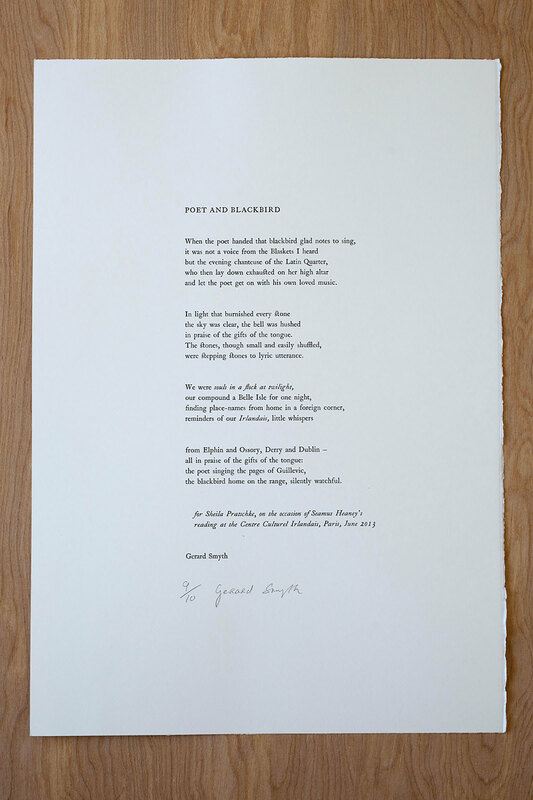 Edition of ten copies.